In project management, scope refers to all of the products, services, and results provided by your project. Having a clear and agreed definition of your project's scope and managing that scope as the project proceeds is critical for it's success. Product scope is what your end customer cares about. It is all of the features and functions that the product or service your project is delivering will provide. Project scope is all of the work that needs to be done to provide the product or service your project is delivering. The purpose of scope planning is to clearly define what is included in the project. Just as importantly, in the process of defining what's included you will also explicitly state what is excluded from the project. The first step in scope planning is to determine the needs and expectations of the key project stakeholders in order to meet the project objectives. These are the requirements that your project will need to fulfill in order for your stakeholders to consider your project a success. Using these approaches, you will be able to capture the requirements from the different project stakeholders that the project will need to meet. Once you've collected the requirements, you can use them to develop your Project Scope Statement. The Project Scope Statement provides a detailed description of everything included in the project. Once agreed with the key stakeholders, the Project Scope Statement becomes a basis for project decisions. 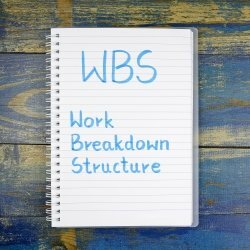 The final step in Scope Planning is to create the work breakdown structure (WBS) for the project. A WBS is used to breakdown each project deliverable identified in the Project Scope Statement into smaller, more manageable components. The WBS is a key project management scope tool. If needed, each component can be broken down further just as how "Book Venue" was. A work breakdown structure will help you estimate your project's cost, understand what skills you will need your team to have, and determine how many people you will need to deliver the project. The WBS will also help when you start building your schedule. Scope control is the process of managing the scope of your project so that any changes to the project scope are handled in a controlled way. This implies that you will need to set up a change control process. It would be great if once the scope was agreed during the scope planning, that it wouldn't change. But in the real world, unforeseen events can make a change in scope necessary. As long as changes are handled in a controlled way, it isn't a bad thing. When changes are uncontrolled, it is known as scope creep. A controlled change would come via a formal change request. The request would be analyzed to determine the impact to the projects schedule, cost, and quality. The stakeholders involved in the change control process can then decide whether they can accept the impacts to the original plan. If it is accepted, then the project manager adjusts the plans and baselines accordingly. Scope verification is where the project deliverables are reviewed by the customer to make sure they have been completed according to the acceptance criteria defined during scope planning. Your ability to effectively perform project management scope planning, control, and verification is important for ensuring your project is successful. 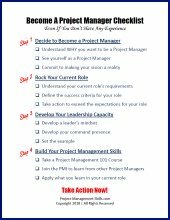 You can find more articles about project scope management below. Learn why a project scope statement is important and the key elements it needs to include to make sure your projects are successful.